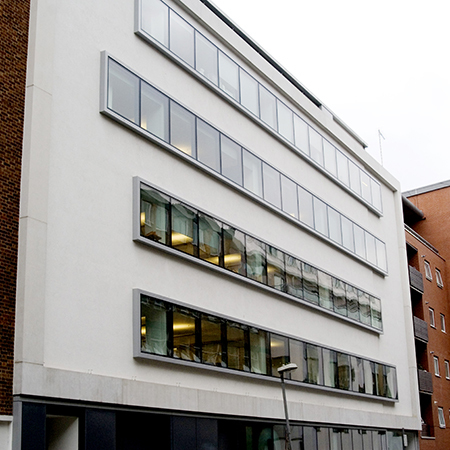 AET Flexible Space provided a full upgrade of the underfloor air conditioning system on the first floor of 16-18 Kirby Street. 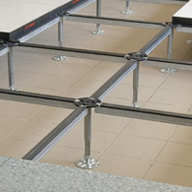 The existing system at Kirby Street is a CAM-C system with underfloor supply air and underfloor return air. 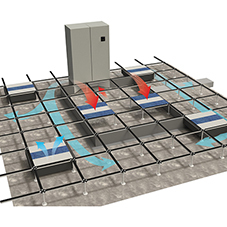 The first floor is split into two zones, with each zone served with a CAM-C35 downflow unit supplying conditioned air to the underfloor plenum. 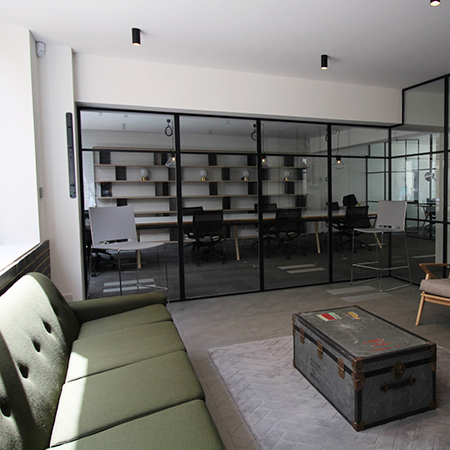 The recent upgrade at Kirby Street was specifically for the 1st floor area, occupied by established creative agency, 7Fold. The existing CAM-C downflow units were retained, but the original AC fans were changed out for new high efficiency EC fans for enhanced performance. 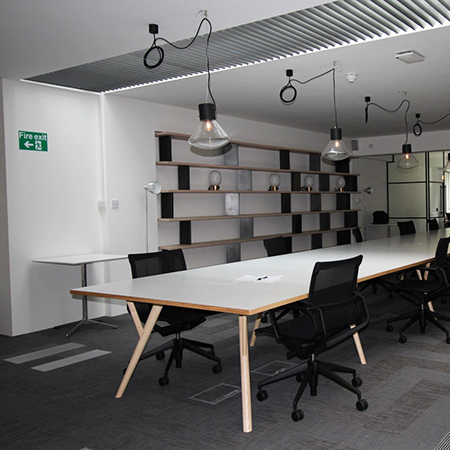 Existing Fantiles were cleaned and relocated, with an additional twelve units supplied to cater for increased cooling loads anticipated by the client as a result of the space reconfiguration. As well as the core equipment upgrade, the client opted for new sound attenuator boxes to be installed beneath the Fantiles to minimise noise transfer between the workspace, fan booster modules to enhance fresh air provision and ten FlexTouch wall controllers were fitted to permit easy control of Fantile temperature and fan speed as well as CO2 monitoring. 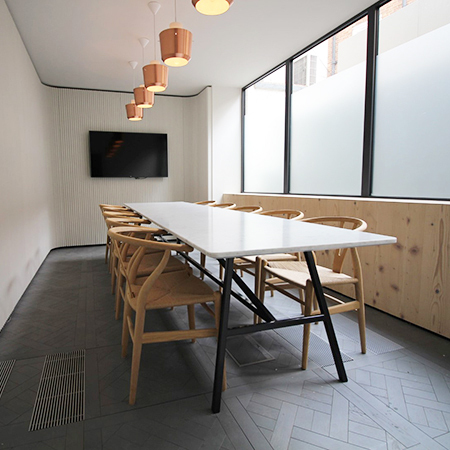 New for old Nesite raised access flooring was also supplied including 40 m2 bespoke covering, Grey Oak Istoria Parquet, for the soft meeting/lounge area within the space. 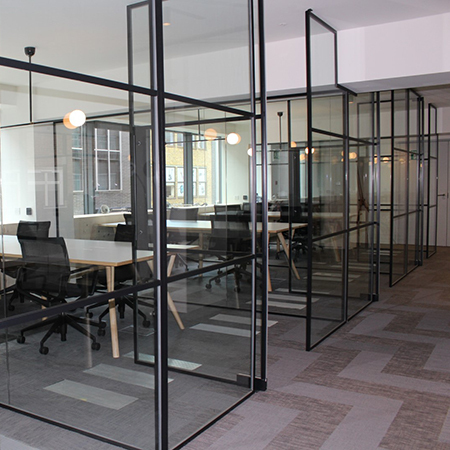 AET worked directly for the landlord, Grosvenor Securities on the fit-out works, which were completed in May 2018, and the end result is a fabulous adaptable collaborative space suited to the creative community in the Camden area of London.